LONDON (VIP NEWS) — Australia is to compete at this year`s Eurovision Song Contest as part of the show`s 60th anniversary celebrations, organizers announce. Organizers issued a one-off invitation as part of the contest`s 60th anniversary celebrations. "It`s a daring and at the same time incredibly exciting move. It is our way of saying let`s celebrate this party together!" contest supervisor Jon Ola Sand said. Australia will be fast-tracked to the final, which will take place in Vienna, Austria, on 23 May. The European Broadcasting Union said Australia had been given a wildcard for the final "to not reduce the chances" of the semi-final participants and because of the "one-off nature" of its participation. 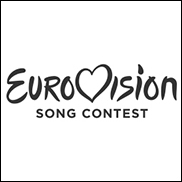 The other participating countries will be allowed to vote for the Australian entry – who has yet to be selected – however should their act win the contest, next year`s show will be held in a European city and Australia will be allowed to defend its title. Gina G Australian singer Gina G represented the UK at the Eurovision Song Contest in 1996. The show has a long tradition of being broadcast in Australia by broadcaster SBS. "SBS has been broadcasting Eurovision for over 30 years and we have seen how Australians` love of the song contest has grown during those years," managing director Michael Ebeid said. "We are very excited to have secured this historic opportunity for Australia to be represented on the world`s biggest stage and are honored that the European Broadcasting Union has supported us to achieve this ambition." Host broadcaster ORF added: "With the participation of Australia, together with our partners at the EBU and SBS, we have succeeded to lift [Eurovision] to a new global level and to build another bridge for the 60th anniversary." Singer Jessica Mauboy – who appeared in the 2012 film The Sapphires – provided the interval entertainment at last year`s contest.